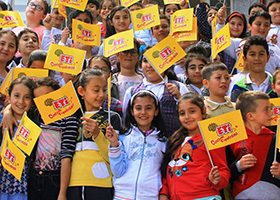 ETİ Children’s Theater, performing free theater plays with a view to contribute to personal, social and cultural development of children, was started in 2001. 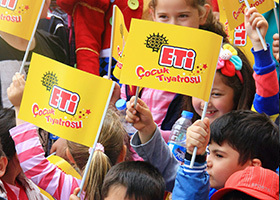 Aiming to ensure arts to become an indispensable part of children’s lives as they grow up with arts and to offer new possibilities to their imaginary worlds with educational and entertaining messages, ETİ Children's Theater targets to help them transform into better individuals. 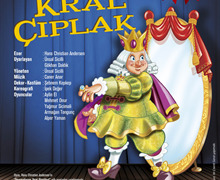 Having traveled to 81 provinces across Turkey so far for purpose of enabling children to enjoy the free theater experience, ETİ Children’s Theater has also reached the children and performed the theater plays in the world’s classics category in TRNC, Macedonia and Azerbaijan with a high population of Turkish people. 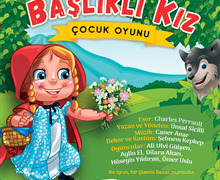 As one of the most important, extensive and continued children’s theaters of Turkey, ETİ Children’s Theater has performed 7 different plays so far, including “Bisküvi Adam” (The Cookie Man), “Kakaolu Olsun” (Make It Cacao), “Alaaddin’in Sihirli Lambası” (Aladdin’s Magic Lamp), “Alice Harikalar Diyarında” (Alice in Wonderland), “Pinokyo” (Pinocchio), “Çizmeli Kedi” (Puss in Boots) and “Kral Çıplak” (The King is Naked). 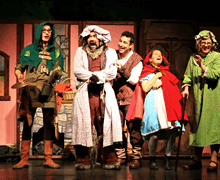 Considering children as the future of the country, ETİ Children’s Theater will continue to introduce them to the art of drama for free in the season 2018 - 2019 with the play “Little Red Riding Hood”. 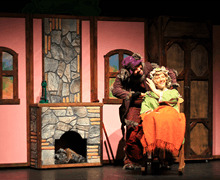 Our play Little Red Riding Hood, which met the audience in the season 2017 - 2018, has been adapted from the Charles Perrault’s work. 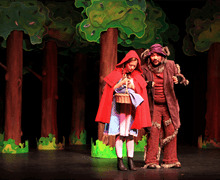 “Little Red Riding Hood” is directed by Ünsal Sicilli, its music is composed by Caner Anar and prop and costume are designed by Şebnem Kepkep; the play is produced as an enriched version of the classic tale. 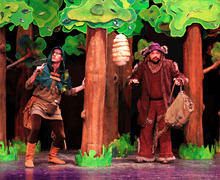 The play basically teaches us that we need to be careful with strangers as well as that ignoring our parents’ warnings and leaving the right path may cause too many problems. 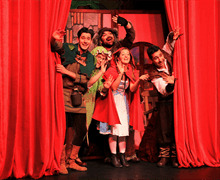 Deceived by the sly Wolf in the wood, the Little Red Riding Hood can’t keep the promise she gave to her parents, but she realizes everything when she gets to her grandmother. 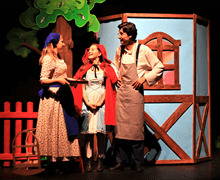 This educative and entertaining play comes to an end after the Woodman and the Hunter saves the Little Red Riding Hood and her Grandma; the play is highly enjoyed by children with its attractive & dynamic tempo, construction, music and other surprises.